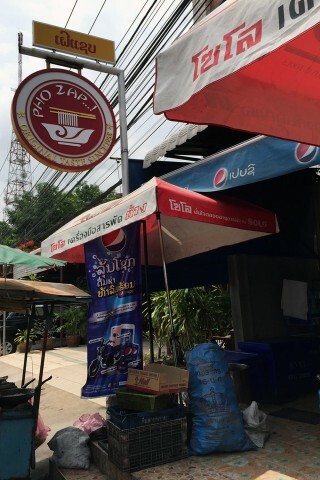 Pho Zap (pronounced saep, which means delicious) doles out steaming, flavourful bowls of beef pho at a breakneck pace for breakfast and lunch, popular even on the hottest of days. The sign out front says “since 1958” and while we can’t verify this claim, we do know that this joint has been here for many years and it’s known as the best pho in town. Standard bowls come with thin slices of beef, a plate loaded with sprouts and herbs to sink into the aromatic broth and sweet peanut sauce to dip the meatballs in. A regular bowl costs 20,000 kip, large 25,000 kip and jumbo for 30,000 kip. They also do fruit juices and shakes, just point to the fruit pictures on the wall.